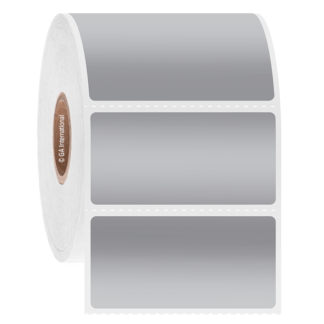 High-temperature and autoclave resistant blackout labels. 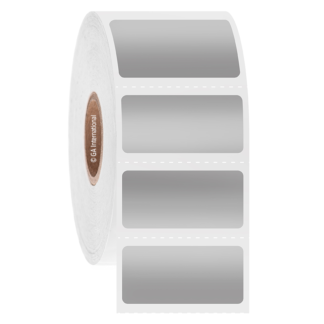 These cover-up autoclave labels for thermal transfer printers have a strong permanent adhesive that ensures the labels won’t peel or wrinkle even at elevated temperatures up to 150°C. The labels adhere strongly to both flat and curved surfaces and are compatible with a range of materials, including metal, glass, and plastic. Ideal for boxes, vials, bottles, plastic bags, metal trays, electronic components, circuit boards and more, these autoclave resistant block-out labels permanently conceal previously printed information including pre-existing text, serial numbers, and barcodes. Ideal for containers marked with sensitive or confidential information that needs to be autoclaved before disposal, including biohazard and radioactive material.